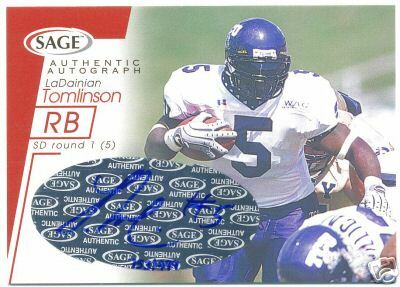 2001 SAGE certified autograph card of former TCU and San Diego Chargers superstar running back LaDainian Tomlinson, now with the New York Jets. With certificate of authenticity from AutographsForSale.com. ONLY ONE LEFT.